While transference has been fully described in the literature, countertransference has been viewed as its ugly sibling, and hence there are still not as many reflective accounts or guidance for trainees about how to handle difficult emotions, such as shame and envy and conflict in the consulting room. 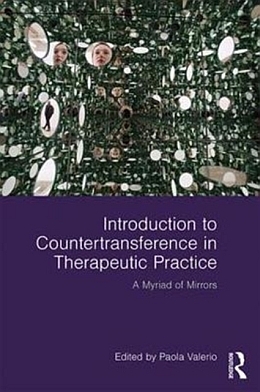 As a counterpoint, this book provides an integrative guide for therapists on the concept of countertransference, and takes a critical stance on the phenomenon, and theorising, about the "so-called" countertransference, viewing it as a framework to explore the transformative potential in managing strong emotions and difficult transactions. With an explicit focus on teaching, this book informs therapeutic practice by mixing theories and case studies from the authors' own clinical and teaching experiences, which involves the reader in case studies, reflection and action points. Countertransference is explored in a wide range of clinical settings, including in reflective practice and in research in the field of therapy, as well as in art therapy and in the school setting. It also considers countertransference in dream interpretation, in the supervision and teaching environment and in work with groups and organisations. Introduction to Countertransference in Therapeutic Practice offers psychotherapists and counsellors, both practicing and in training, a comprehensive overview of this important concept, from its roots in Freud’s work to its place today in a global, transcultural society. Chapter 1: Between bodies: Working in the liminal zone with traumatised clients. NICOLA DIAMOND AND PAOLA VALERIO. Chapter 3: A case of missing identity: Working with disassociation and multiple selves’ in the countertransference. MARIO MARRONE AND NICOLA DIAMOND. Chapter 4: Countertransference, Art Psychotherapy and the pre-discursive abject. Chapter 5: CBT Versus the unconscious: Ignore countertransference at your peril. Part 2: Countertransference in the wider context in Supervision, Teaching, Group therapy and in Organisational work. Chapter 6: "Impossible to do, but possible to say": using countertransference in the trainer/trainee relationship. RUSSEL AYLING, EGLE MEISTAITE AND PAOLA VALERIO. Chapter 8: Can Organizations Use Countertransference To Reflect? Chapter 10: Countertransference in Research: An Intersubjective Reflexive Approach. Chapter 11: 'The Recovered Therapist'. Working with Body Image Disturbance and Eating Disorders: Researching the Countertransference. Paola Valerio is a BPC/UKCP reg. psychotherapist and senior lecturer at Roehampton University, where she convenes the psychodynamic theory and practice module on the Psych. D. She has been a visiting lecturer and supervisor in psychotherapy at Regents’ College, Surrey and Kent Universities and at the Tavistock and East London University.